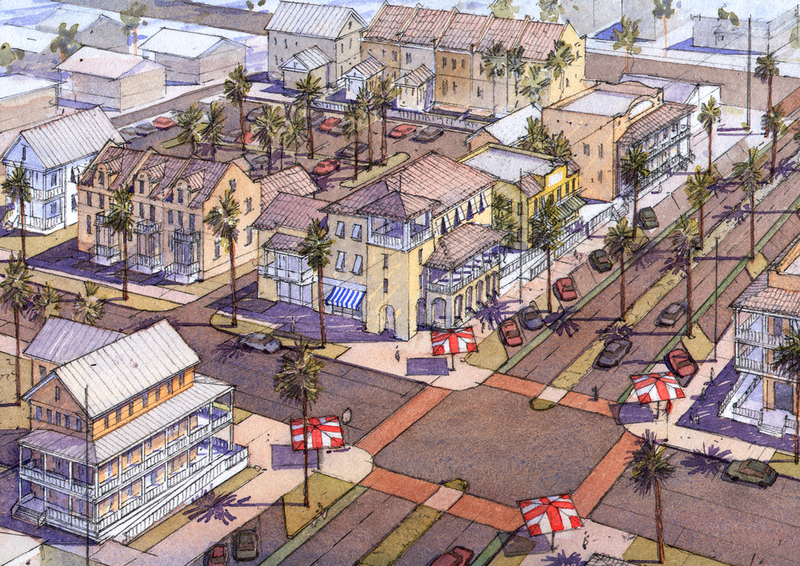 The Padre Boulevard redevelopment initiative is meant to transform Padre Boulevard and the Entertainment District into a pedestrian friendly corridor. The master plan and form-based code are designed to encourage redevelopment of both areas. The goal of the initiative is to establish a vibrant vision for the corridor and the Entertainment District as destinations in the community and the region. In addition to encouraging sustainable economic development, this initiative will lead to streamlining development standards to implement the vision. Dover Kohl & Partners worked together with lead firm Gateway Planning Group during a week long Design Workshop in June, 2010. The City Council of South Padre Island adopted the plan and form-based code on September 7, 2011.